This article explains the steps required to remove a drive letter from the Microsoft System Reserved (MSR) partition. 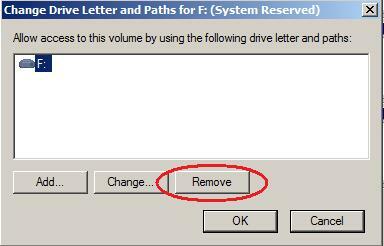 You can also use the same steps to remove a drive letter association from any partition. 1. Start the Windows Disk Management Console. Click 'Start', type 'diskmgmt.msc' (without quotes) and press ENTER. 3. In the dialog that opens, click the 'Remove' button. 4. Close the Disk Management Console and restart Macrium Reflect. 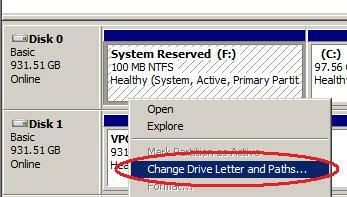 After removing the drive letter create a fresh image of your system including the MSR partition.